The Prickly Pear genus, Opuntia, has been split into a number of smaller genera so that the group as a whole is now sometimes given the informal name opuntiads. The opuntiads have flattened 'pads' (cladodes) arising at odd places and angles from another pad. One of these new genera is Consolea, with about 10 species. Although described in 1930, it has waxed and waned in terms of acceptance by the botanical community. 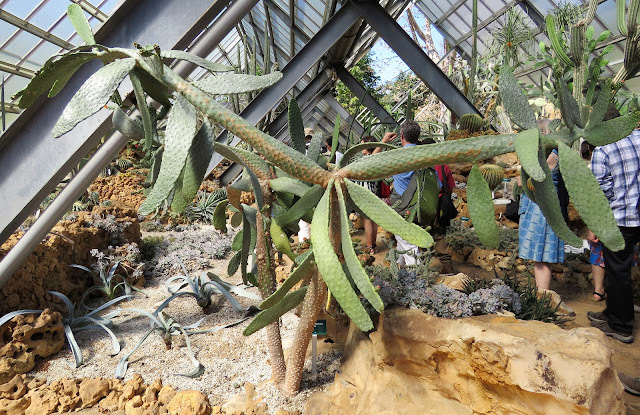 It's named after the nineteenth century Italian botanist Michelangelo Console, a professor at Orto Botanico di Palermo, in Sicily, who studied cacti with French botanist Charles Lemaire. What it has, that Opuntia doesn't, is a cylindrical trunk - with a central woody axis and not jointed. It also has relatively small flowers, not present at all in the plants I saw growing at the Jardin Botaníco Nacional Cuba, in Havana, in April this year. The other characteristic feature are the elongated, rabbit-ear like pads. One species, Consolea rubescens (see photograph at the top of this post), has been called the Road Kill Cactus. This is no doubt due to it being flat ('dead flat' as one grower described it) but also I think because the pads look like they have been stretched out as if run over, or run through a wringer. It's a widespread species in low areas throughout the Caribbean. There are a few other opuntiads sharing these features so the specialist will look at seed anatomy, pollen shape and flower structure to confirm the identity of anything being added to Consolea. In 1996 Alberto Areces-Mallea described a new variety in Consolea, defending at the same time the recognition of this group as a genus. There are a cluster of this local variety in the picture above, also taken in the glasshouse at Havana. Unlike the Road Kill Cactus this one has lots of spines, particularly at the base. 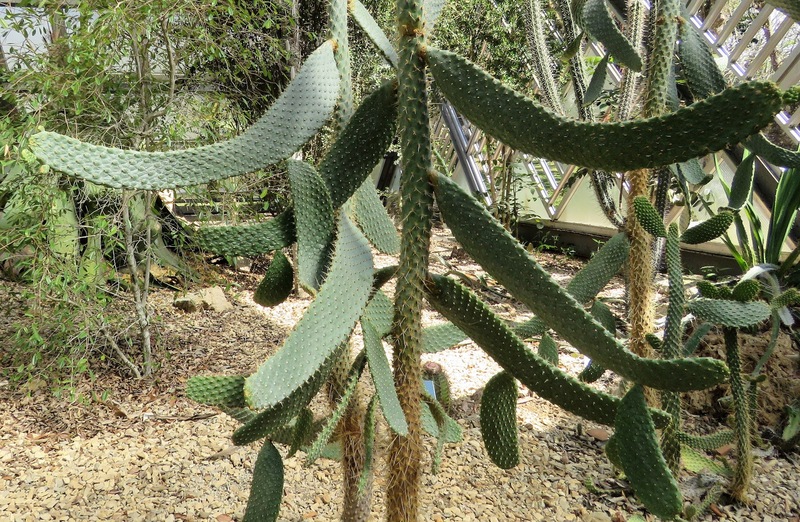 Not everyone accepts the status of this cactus as a distinct taxonomic 'variety' but given the name appears on the sign in the Havana botanic garden, that's good enough for me (or at least this blog post...). It's only found in Cuba, in the far east of the main island, restricted to the province better known for its USA detention camp, Guantánamo. In its fully mature state the trunk of Consolea moniliformis variety guantanamana can reach 4 to 5 metres high, with a umbrella-like arrangement of pads. The rest of the Consolea moniliformis species (now variety moniliformis) is found elsewhere in the Caribbean, from eastern Cuba through to Hispaniola and Puerto Rico. The differences between the varieties are a mix of habit and spine number and presence (the fruits of the new variety are usually spined). Lest you worry about weediness, which you should, the genus is not recorded as naturalised in Victoria and I don't think any other State or Territory, although because it is an opuntiad there may be restrictions on its importation and distribution. 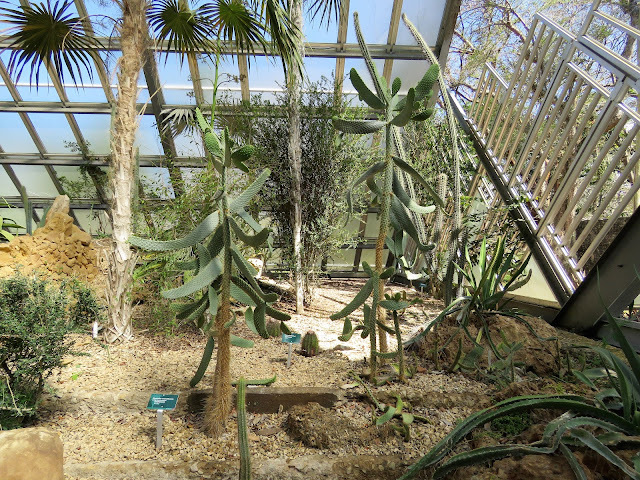 An additional concern might be its resistance to the cactus moth, Cactoblastis cactorum. 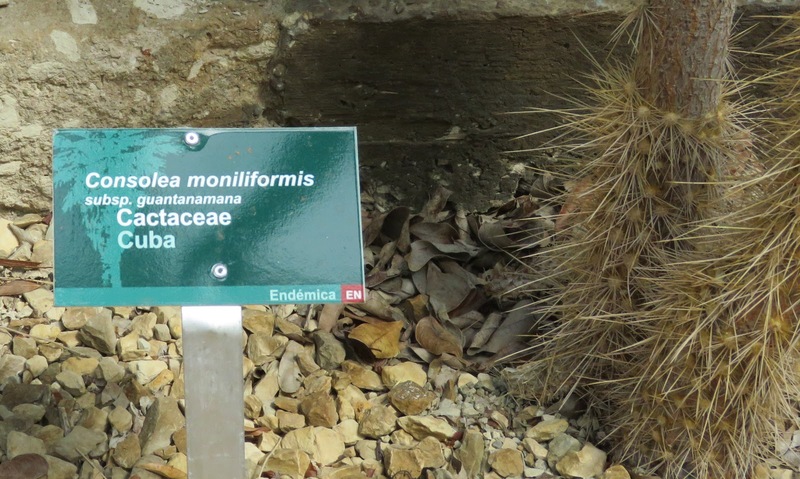 In the Caribbean, where some cactus species are native and others are problem pasture weeds, surveys have shown that Consolea rubsescens is not attacked by the cactus moth. 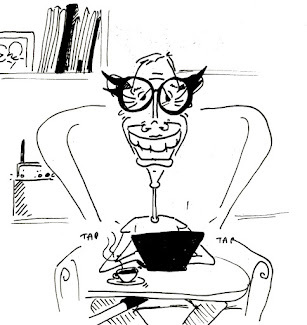 Which, for them, is a good thing.